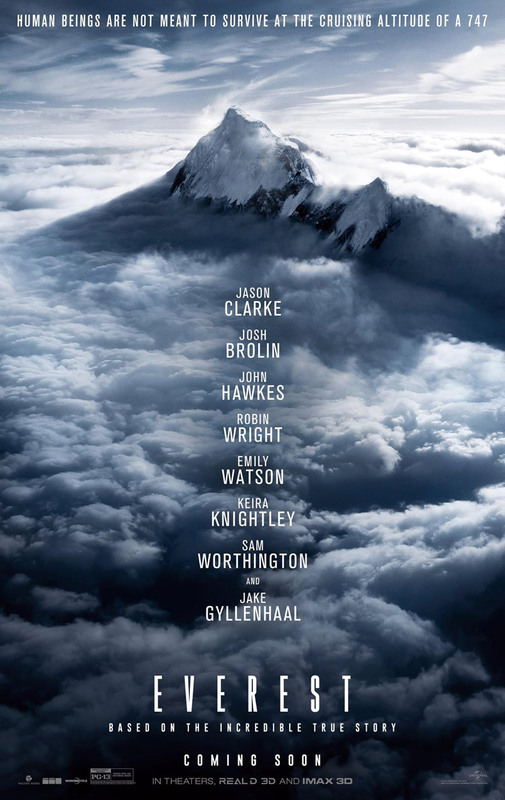 The story of Everest follows two groups of climbers who dared to scale the 5½ miles of the tallest mountain in the world. Their audacious endeavor is made even more perilous when a massive storm catches the mountaineers off guard at Everest’s peak. The drama film accompanies the group as they fight to survive in the harshest place on Earth. Perhaps the most heart-rending part of all is that their story is a true one. Overall, I came out of the theater feeling pretty neutral about the movie. There were many aspects that I liked, but there were also a lot of moments where I found myself critiquing things. One of the biggest issues that I have with the movie is the choppy style. Even though the story is so undeniably tragic, the entire film feels like a disjointed documentary and I think this drains a lot of emotion out of it. Certain parts of the movie also become muddled simply because it’s so hard to differentiate between all the characters. With all the beards, oxygen masks, and billowing snow, it’s next to impossible to sort out what is happening to whom. All in all, the movie is worth the watch, especially considering it’s based on true events, but it’s definitely not for the faint-of-heart. Between frostbitten fingers and more than one on-screen death, Everest leaves no cheery mood in its wake.